In a small roof at the bottom of the area, 100m after Effet de Serre when coming from the parking lot of Bas-Cuvier. Sitstart in the pit on the right of the overhang with the two hands in the crack, traverse to the left and exit in La Fissure Vador. 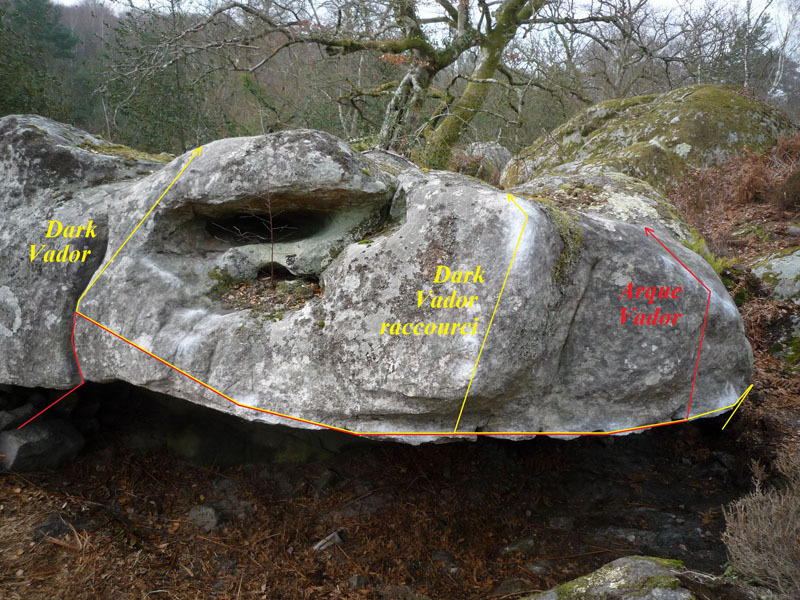 NB : a conventional lying start to the right of the crack is also possible (7a+).